Last week was full of absolutely amazing shows, but none topped the unbelievable experience of watching Sufjan Stevens take the stage at The Ryman Auditorium. The critically acclaimed songwriter has seen a surge of activity in 2015, prominently relating new record called Carrie and Lowell which has been met with a lot of praise, and prompting the singer to cover a lot of ground in touring to support it. His Nashville show sold out in days, building a great deal of anticipation for what he had in store for us on a windy November evening. Unfortunately, we weren’t able to have a photographer at the show. But, nonetheless, we’ve shared our thoughts below, and with any luck it will convey and pass on the magic that existed in The Ryman that night. The loudest noise on the walk to The Ryman was the wind whistling through the streets and by the office windows. It was graceful and very pleasant, acting as a foreshadowing of what was to come. 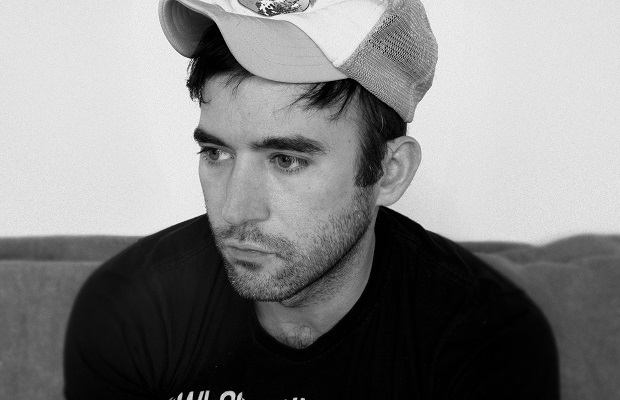 For this writer, Sufjan Stevens holds a very dear and special place in past memories. There were the walks in the woods with friends while listening to Greetings From Michigan. There was even a time where we drove into downtown Chicago just as his song of the same title came on. He is a big part of the soundtrack to my generation’s high school days. His music is important to many, and Nashville certainly held true to that with a packed house even during the opener. First up was Los Angeles singer Gallant. He presented a very interesting style for an opening act for Sufjan Stevens, with a piercing falsetto and exuberant stage personality that made him a true sight to see. He played a very intriguing type of R&B that featured a healthy amount of synthesizers and off-beat accents. Gallant ran around stage jumping up and down, he even fell over at one point because he was getting so into it. It is important for a singer of such variety to be backed up by a strong and tight-knit band, and, sure enough, Gallant’s band were extremely proficient in setting up a groove that was unique and organic. The drummer and the bassist were right on point with each other, creating a solid base for the tunes that was felt throughout the entire auditorium. If there was more standing room at The Ryman, I have a very good feeling he would have been drawing people from their seats up to dance. After Gallant’s energetic set, it was time for a short break before Sufjan was to come on. I sat in The Ryman pews, antsy and ready for something magical. Before long, it was time for Stevens to take the stage. He opened his set with “Redford (For Yia-Yia & Pappou),” an absolutely beautiful instrumental piece from his 2003 album Greetings From Michigan. The song featured piano and a mystical vocal presence. Stevens then started off “Death with Dignity,” the opening track from his most recent album Carrie and Lowell, using screens to project what seemed to be, given the nature of the album, images of the Oregon coast and countryside. It really added a visceral effect throughout the set to see these pictures of his upbringing accompany his performance. As an audience member and Stevens fan, I feel as if I understand and relate with his 2015 effort ten times more than I previously did. He covered the entire album throughout his performance. It was also very astounding to see Stevens bring these songs to life with a full band. Most of Carrie and Lowell features just Sufjan and a guitar; a return to his folk roots. To witness Stevens put bass, drums, and keyboards into these songs showed versatility, and a creative quality of adaptation. Sufjan and his band finished the main portion of the set with “Blue Bucket of Gold,” another track from Carrie and Lowell. But in this rendition, they ended it with a long, intricate, and psychedelic journey that featured synthesizers, disco lights, and intriguing rhythms. I could have left the show happy and pleased at such an experience then. But that wasn’t the end of it. Stevens and his group came back on to do a stripped-down mini set of some of his most favored old songs like “Casmir Pulaski Day” and “Chicago.” They performed these songs “Opry Style,” as they all crowded around one mic, all playing acoustic. I was able to travel back ten years in my life as I witnessed this happen. All the familiar feelings of teenage angst, and fear upon discovering what life really is came to surface again. It brought me to tears but in the most perfect way possible. After playing “Chicago,” Stevens mentioned how he is looked at as a “sad folk singer,” so it is hard for him to end a show on a light note. But after exclaiming “thank god for Drake,” Sufjan and his group brought out Gallant for a funky rendition of the 6 God’s newest single “Hotline Bling.” The show was one of the best performances I have witnessed this year, and, honestly, lifetime, and I already look forward to the next time Sufjan comes around, whenever that may be.